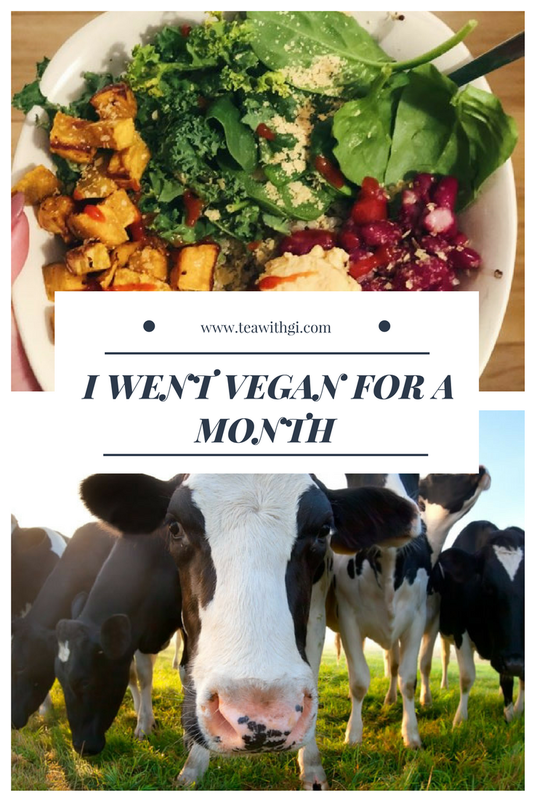 MY EXPERIENCE GOING VEGAN FOR A MONTH FOR #VEGANUARY. It is FINALLY February, I feel like this has been the longest month ever, but somehow the whole vegan thing feels like it's flown by and I haven't even had the chance to make a vegan mac n cheese recipe yet. For those of you who haven't heard of Veganuary, it is a campaign that was aimed to challenge the world to give up animal products for the month of January, and hopefully beyond that. I thought what better time to try and commit to this than now when there was a lot of support and resources available. For me, I wanted to set myself a challenge and see if it was a lifestyle I could actually adopt long term. As a fully fledged meat eater, I pretty much went cold turkey from one day to the next - not literally. Here is everything I experienced and learnt throughout the month. I feel like we should start with the most obvious point, because after explaining to my family I was going to be going vegan (particularly my grandmother) I realised what constitutes as a vegan diet isn't as obvious as it seems. I still got the odd questions like - "can you eat potatoes?" "how come you're not eating my meat stew but you're having (dark) chocolates?" "there's only one egg in here it's fine right?" A lot of people seem to confuse vegan with a non-garbage diet. You can still eat starbursts, bread and crisps as much as you want, you just need to skip on all the animal products. From the obvious ones such as meat and dairy to sneaky ones like honey, eggs and gelatine found in a lot of sweets. There are also different types of vegan just to complicate things, with some eating more 'raw' than others. People follow a vegan diet for an array of reasons - including for their health, animal rights, the environment or simply because most of the time the food does taste damn good. We all know the horrors that go on to get these products to our plates and supermarkets, but we all seem to turn a bit of a blind eye. When you're dipping your Oreos (which are surprisingly Vegan) into your cold glass of milk, it's hard to imagine the torture female cows are being subjected to, like being impregnated constantly just to have their baby calves taken away from them so we can drink their milk. I wanted to educate myself as much as possible when I first embarked on this journey, so I started by watching What The Health on Netflix. It left me feeling slightly skeptical as there were statements made such as 'eating an egg is the same as smoking 5 cigarettes' which sounds a bit far fetched. However when it comes to red meat and knowing all the hormones that are injected into chickens etc - there are definitely health concerns involved regarding cholesterol and other diseases. The main counter argument for this is that caveman and our ancestors survived on basically meat and veg (paleo) so what's changed? That nowadays a lot goes of between the animal and what goes on to our plates. I came across this article that gave 57 health benefits of going vegan, from lowering high blood pressure to eliminating dietary cholesterol. So I'm going to be as honest and transparent as I can here - plan your high legume based meals for when you don't have to leave the house or won't be surrounded by people because you will be passing a lot more gas. I love lentils, chickpeas and red kidney beans so I threw a variation of those in to most of my meals as they filled me up and are tasty. I'm a creature of habit and I can basically eat the same meal various times a week without getting sick of it, which is why a month of being vegan wasn't that tough for me. However, if you like to eat something different every day it's going to cost you a fair bit more, and you'll have to spare some more time to cook in the evenings. That being said, since most of the time you're cooking vegetables and stuff you can eat raw, there's not a very long cooking time involved. If you're looking on some places to start, I recently published a post where vegans shared their favourite recipes with me. In terms of my skin, the one spot that never seems to leave my chin is still here, but I have noticed that my face has gained a lot more moisture (oil) this month - perhaps it's all the avocadoes I've consumed sweating out of me? Weight wise, I dropped 2.5kg, whilst eating between 1,200-1,500 calories a day. I've had a 1.2% drop in body fat and as far as my workouts at first I got tired quicker, but I've pretty much felt the same as before now. There were times it was frustrating - I had to skip on a birthday meal because the only thing I could eat at the restaurant was a plate of chips, another time I had to have chips and tomatoes in dressing for lunch. Despite the inconveniences, it helped me stop excessively snacking on chocolates and sweets in the evenings, although my friend had a stock of dairy free white chocolate in her house, which I couldn't resist either. Here's the thing, I almost feel like a hypocrite writing this as I've already indulged in a cheese string and ham croquettes. However, even by reducing your intake and making more of a conscious effort to eat less animal products and eat more vegan friendly meals, use cruelty free make-up and stop buying leather etc, you're still doing your part. There's actually a 'reducetarian' movement that is aimed at people who aren't ready to follow an 'all or nothing' approach. My reasons for not continuing is that I find it very hard to reach my protein goals, even if I load up on tofu, lentils and co. I have anaemia so a vegan diet makes me a bit too lethargic during the working day. I also love to travel and eat new foods when doing so, which again is hard to do when you cut out so much. 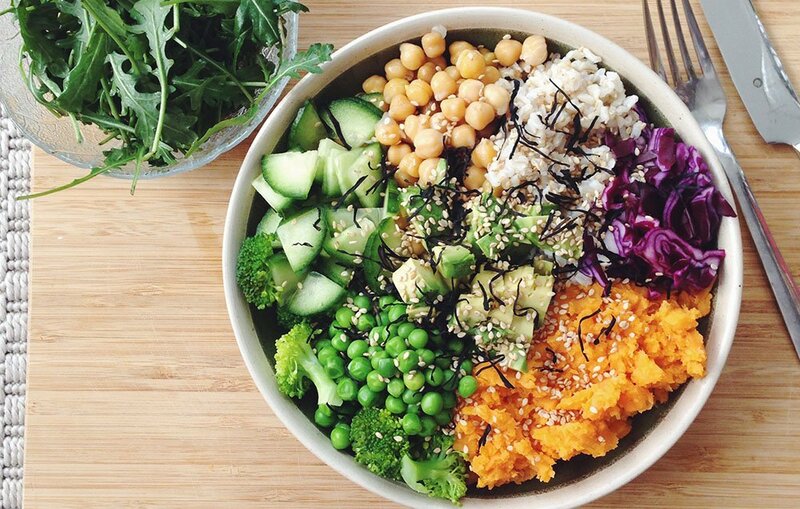 If I was forced to go vegan and every restaurant in the world had at least two vegan options and supermarkets would bring down their prices for substitutes, then I'd be down. I am going to try and stick to having dairy just once a week, so I can enjoy a nice cup of tea and goat's cheese & caramelised onion canapés. I actually prefer Alpro's soya yoghurt range to dairy yoghurt, and coconut chocolate milk is out of this world. I'm going to keep doing 'meatless Monday's' at home and choose vegan where I can when eating out etc. Something I've gained from this is a new appreciation for plant based food, a tolerance for Americano's, and it's made me expand my takeaway choices when ordering Indian or Chinese - had I not done this I probably wouldn't have discovered the delicious dish that is Chana Masala. On one last note, we get so much information thrown at us that completely contradict each other - so in essence everything is bad for you. As long as you're having a balanced, moderate diet and try to make cuts where you can then that's fine. I personally think you can't force everyone in the world to follow a specific lifestyle because we are all individual people and what may work for someone, may not work for somebody else. I wrote this post to speak about my experience and bring a bit of awareness for those of you interested in this lifestyle and how it went for me. The comments are always open for discussion, and you may agree/not agree with what I've shared but that's the beauty of freedom of speech. This is a really great post. I honestly don't think I go do the all or nothing however I am changing bit by bit as I go on. I've pretty much changed all my makeup to cruelty free, and I'm trying new vegan recipes that I come along because they look so yummy. I think it's great that you've taken the time to fully explain it and this will help so many people. It's nice to see a change in approach to being Vegan as a lot of people tend to ram it down your throat which is very off-putting! Don’t feel guilty cheese strings are awesome. Good on you for giving vegan January a go! I have a lot of respect for anyone who completed it, especially if they ate a lot of meat in their diet before. I had a slightly easier transition this month because I was already a vegetarian and I already did not purchase cows milk or eggs, so I definitely had a head start! I absolutely feel you on the wind situation, my poor boyfriend had to put up with a lot of it this past month hahaha! I am trying as best I can to continue with the vegan lifestyle, although I do currently have some food in my cupboards and in the freezer which is not vegan friendly that I will be eating up because I don't agree with throwing good food away. I think that the "reduceterian" movement is fantastic, any decision not to have an animal product is a good one, whether it's something you do every day, or just occasionally - I am of the opinion that every little helps! Thank you so much for sharing your experiences so honestly!